by Sean Hackbarth, Contributing Author: Always beware of the Law of Unintended Consequences. Worthy aims don’t always wind up resulting in beneficial outcomes. Take the Labor Department’s fiduciary rule. 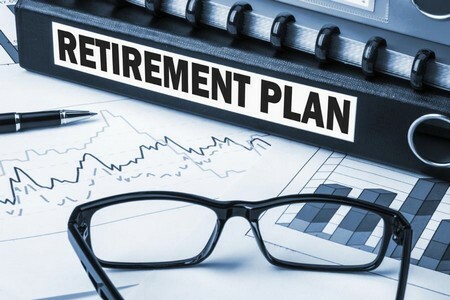 The new rule requires financial advisers and broker-dealers handling retirement assets to either move to a fee-based compensation model or, if they want to continue receiving variable compensation such as commissions and 12b-1 fees, sign a Labor Department “best-interest contract exemption,” or BICE, with clients. The BICE stipulates advisers can only earn “reasonable compensation” on non-fee-based products.With legal challenges and Tuesday's election results, the rule's future is up in the air. With legal challenges and Tuesday's election results, the rule's future is up in the air. Ensuring that savers’ and their financial advisors’ interests are aligned is a noble goal, but DOL’s regulations will actually make it harder for Americans to save for retirement. As has been noted in a number of posts on Above the Fold, the fiduciary rule will limit access to retirement investment advice for small businesses and their workers, and both could see higher fees. Not good when the goal is about encouraging people to save for retirement. It will keep savers from getting personal advice from financial advisers even though many prefer it to only having roboadvisers available. What’s more, “The increased threat of litigation over commission-based accounts will cause most advisers to switch to fee-based systems that don’t make economic sense for accounts with low balances,” Scaramucci writes. Far from where DOL regulators concocted this regulation, plaintiffs lawyers are licking their chops at the opportunity for new business. As a consequence of lawsuit fears, “Advisers will drop smaller accounts, forcing less-wealthy individuals to use robo advisers, whose technology is unproven in more volatile environments,” Scaramucci writes. Those who can afford to pay much higher fees to have someone help them manage their money, and those who will lose access to advice because their accounts simply aren't big enough to cover the costs imposed by the new rules.No one wants that. The Law of Unintended Consequences rears its ugly head. Read all of Scaramucci’s piece to see the many ways this rule will hurt retirement savers. Sean Hackbarth is a policy advocate and Senior Editor, Digital Content, at U.S Chamber of Commerce. He twitters at @seanhackbarth and is a contributing author at the ARRA News Service. (New York, NY) - President-elect Donald J. Trump today announced that Vice President-elect Mike Pence will serve as Chairman of the Presidential Transition Team, and that Dr. Ben Carson, New Jersey Governor Chris Christie, Former Speaker of the U.S. House of Representatives Newt Gingrich, Lieutenant General Michael Flynn, USA (Ret. ), Former New York City Mayor Rudy Giuliani and U.S. Senator Jeff Sessions will join the team’s Executive Committee as Vice Chairs. President-elect Donald J. Trump today also announced that Chief of Staff to U.S. Senator Jeff Sessions, Rick Dearborn, will join the Presidential Transition Team as Executive Director. Katie Walsh, Senior AdvisorThe Vice President-elect has tapped his three senior advisors, Nick Ayers, Josh Pitcock, and Marc Short, to work alongside him in this process. Tags: President-elect, Donald Trump, Implementation phase, Presidential Transition Team To share or post to your site, click on "Post Link". Please mention / link to the ARRA News Service. and "Like" Facebook Page - Thanks! by Rick Manning: Midnight regulations, eight years a go it was all the rage in the media to demand that the Bush administration stop work on even the most benign regulatory changes so a new administration could make those decisions. In response, the Bush White House stopped most regulations that would be deemed controversial putting them through a rigorous review at the Office and Management Budget before they could be released. Today, it is reported that President Obama is ratcheting up the regulatory work in order to cram as many of his fundamental transformations into the regulatory rulebooks as possible before the new Trump Administration enters the White House. The Congressional Review Act was put into place as a reform as part of the Contract with America in 1995, but it has only been successfully used to overturn a regulation once in its history — when President George W. Bush replaced Bill Clinton and signed language ending the Labor Department’s proposed ergonomics rule. While many other attempts have been made to use the CRA, they have failed because of a weakness in the law — Congress must be able to overturn a veto by the sitting President to stop the regulation, putting an almost impossible barrier of a two-thirds vote in both Houses to preventing a regulation from taking effect. The only time the CRA is feasible to use is at the beginning of a new presidency when the president’s party controls Congress and legislation is passed during the first 60 legislative days after a regulation is finalized. The reason the ergonomics rule got overturned was because it was a Clinton rule, which was opposed by the incoming Bush — so Bush signed the bill. And that is the almost exact situation we find ourselves on Jan. 20, 2016. Donald Trump will be joining together with a Republican Congress that only needs to overturn Obama regulations with a simple majority if it is no more than 60 legislative days from the rule going final. According to a report in Politico any rule finalized by Obama on May 23, 2016 or later would be subject to review by the new Congress. But the more time Congress spends in a lame duck session, the fewer rules get subjected to Congressional review by the new Congress, just one more reason to restrict the lame duck to a short-term funding resolution and nothing else. 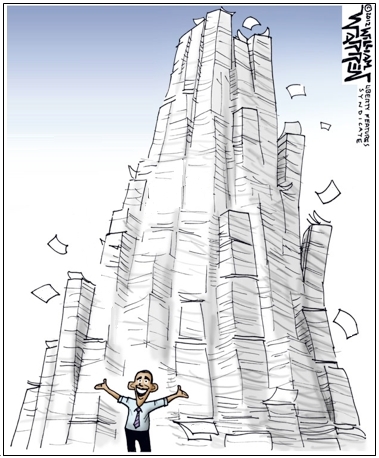 The stars have aligned for a significant portion of Obama’s agenda to be sidelined using the Congressional Review Act. If, for conservatives, President-elect Trump’s election means nothing else, the Congressional rescinding of many of the late environmental and labor regulations before they do too much harm is a major victory for limited government. All that needs to happen is for this current Congress to finish their work so the next one can stop Obama’s late term agenda before it gets up and running. Rick Manning (@rmanning957) is President of Americans for Limited Government. Article also on ALG Blog Hill. Tags: Obama, halt, regulatory rulemaking, Donald Trump, Congress, Rick Manning, Americans for Limited Government, editorial cartoon, William Warren To share or post to your site, click on "Post Link". Please mention / link to the ARRA News Service. and "Like" Facebook Page - Thanks! "On behalf of the National Rifle Association’s (NRA) five million members and tens of millions of Second Amendment supporters, the NRA congratulates President-elect Trump on his hard fought victory. "Voters sent a loud and clear message that our gun rights are not for sale. Despite the unprecedented efforts by New York City billionaire Michael Bloomberg and the gun control lobby, the Second Amendment prevailed. In the face of threats against their constitutional freedoms, NRA members and Second Amendment supporters rallied to elect a pro-gun president. Trump’s victory repudiates the assertion by gun control advocates that the political calculus regarding the Second Amendment has changed. "A special thank-you to NRA members and supporters who made the difference in this important election. Freedom scored another victory because of your efforts." 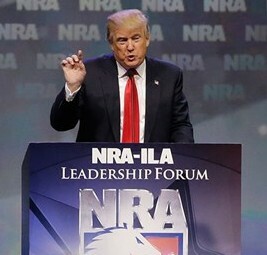 Tags: Donald Trump, President-Elect, election 2016 Chris W. Cox, NRA-ILA, National Rifle Association To share or post to your site, click on "Post Link". Please mention / link to the ARRA News Service. and "Like" Facebook Page - Thanks! Dr. Chuck Baldwin is the Pastor of Liberty Fellowship in Kalispell, Montana. 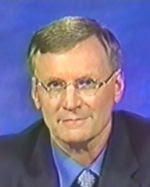 Dr. Baldwin is Talk Radio Show Host for Chuck Baldwin Live.” He addresses current event topics from a conservative Christian point of view.and is a writer/columnist whose articles and political commentaries are carried by a host of Internet sites, newspapers, news magazines and the ARRA News Service. Tags: Chuck Baldwin, Trump Victory, 2016 Presidential election, what we saw, what we need to see To share or post to your site, click on "Post Link". Please mention / link to the ARRA News Service. and "Like" Facebook Page - Thanks!
. . . Donald Trump is heading to Washington D.C. to clean things up, or as some would say, drain the swamp. Tags: Drain Baby Drain! 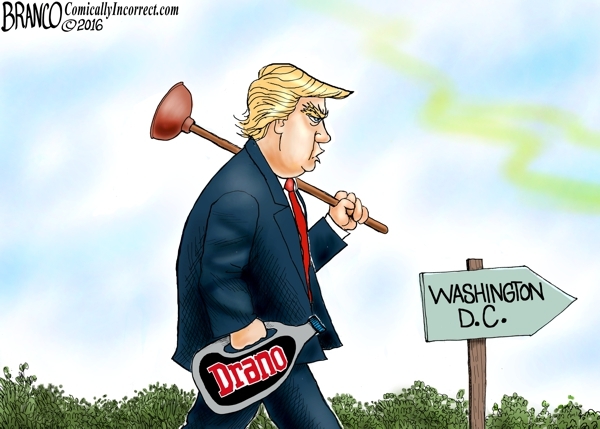 Donald Trump, Washington, D.C., drain the swamp, editorial cartoon, AF Branco To share or post to your site, click on "Post Link". Please mention / link to the ARRA News Service. and "Like" Facebook Page - Thanks! by Kerby Anderson, Contributing Author: The election is over, and it is time to bring the country together. But is that possible? Every four years we see a map of red and blue states showing the vote for president. But there is growing evidence that we aren’t just a divided country. We are essentially two countries within the same border. 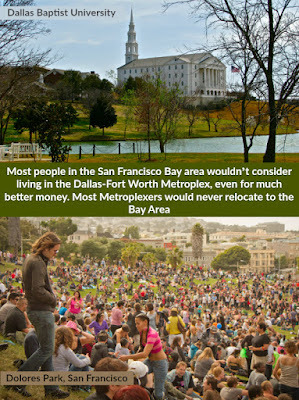 Tags: Kerby Anderson, Viewpoints, Point of View, Two Countries, The Big Sort, cities, Democrats, San Francisco Bay, Republicans, Dallas-Fort Worth Metroplex, divided country, To share or post to your site, click on "Post Link". Please mention / link to the ARRA News Service. and "Like" Facebook Page - Thanks! Thomas Spoehr, Lt. Gen., U.S. Army (Ret. ): Today is Veterans Day. We celebrate Veterans Day on the 11th day of the 11th month of the year, the day the guns fell silent in Europe following the armistice that ended World War I. For some, it’s a day off from school or work, but for the majority of Americans, it means so much more. Veterans Day is the chance to thank and honor those who have selflessly served their country. Support for veterans has been mixed through our nation’s history. But today, through the efforts of great Americans, respect and assistance for veterans has never been stronger. In increasing numbers, veterans are returning that support by continuing their service to their communities and country. The term “veteran” comes from the Latin, vetus meaning “old.” In America and elsewhere, we use the word to describe those who have served in the military. But you don’t need to be old to be considered a veteran. 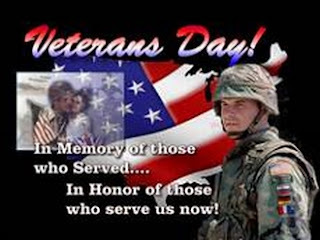 A veteran is a person who has served honorably in the U.S. military. He or she can be a citizen who served for four years and leaves the service at the ripe old age of 24. U.S. veterans today enjoy a much different relationship with the populace—their government and the American people—than veterans have over the span of our history. In the Revolutionary War, America relied on volunteers, although some state militias used conscription. Pay was the responsibility of the states and was sporadic or nonexistent. Many soldiers were promised cattle when their term of service ended. There was no system for pensions, death benefits, or disability payments. This led to unrest and dissatisfaction among those who had served so faithfully. The number of people who served in the Revolutionary War never exceeded 30,000, and they were relatively ineffective in mustering any public opinion to better support veterans. This national disinterest toward veterans continued with relatively minor reforms until the Civil War, where heretofore unprecedented numbers of Americans were killed or wounded. Sensing a growing national obligation toward veterans, President Abraham Lincoln explicitly mentioned supporting them after the war. Post-Civil War reforms resulted in the establishment of a better system of pensions and payments, but most still remained meager. Fast forward to World War I. Large groups of veterans returned from overseas; some with major needs. But the largest change in America’s treatment of its veterans came after World War II, which was pivotal in improving the relationship between veterans and their government. Congress passed the G.I. Bill of Rights, which included easy access to education, mortgages, and provisions for health care. Many have said that the World War II G.I. bill, which is estimated to have cost around $70 billion dollars, was the best investment America ever made. It’s one thing for the government to provide for veterans returning from war. The G.I. bill and today’s 9/11 G.I. bill are tangible signs of that support. But there is another dynamic, and one that has a psychological impact on veterans and the country as a whole. This is the phenomenon we experienced with Vietnam and Korea—two unpopular wars with the American people. Veterans from the Korean and Vietnam wars were largely ignored or worse by average Americans and they struggled immensely upon their discharge. That was an unfortunate period in our nation’s history, because those men and women had served their country during a time of war and deserved to be treated with respect when they returned home. Fortunately, today things are markedly different. Veterans, no matter when and where their service took place, are deeply appreciated by the American people. You can witness this appreciation with standing ovations when “honor flights” of veterans arrive at airports, to the presence of over 180 United Service Organization centers manned by patriotic volunteers across the country. I was at Ronald Reagan airport recently when an Honor Flight arrived from St. Louis. There wasn’t a dry eye in the terminal as the World War II, Korean War, and Vietnam War veterans came off the plane, most in wheelchairs, to thunderous clapping. 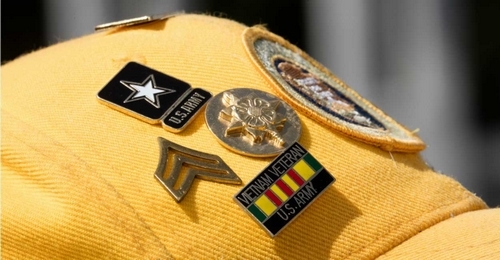 Over 40,000 nonprofit organizations now exist to support the military or veterans. Make no mistake, America’s support to its veterans and those serving, both tangible and intangible, is absolutely crucial to our ability to field a strong fighting force now and in the future. The value of this support manifests itself not just in successful recruiting, but in unmatched performance on the battlefield. American service members go into combat today secure in the knowledge that if they are killed or wounded, they and their families will be taken care of. And so they willingly put their lives on the line. Contrast that with service members of other nations where they must live with the knowledge that if they are hurt or killed, their families may become destitute. That weighs on them, and undoubtedly colors their battlefield behavior. So although America has had a mixed history in the support to its veterans, today it seems that we have arrived at about the right place. The programs, systems, and appreciation that veterans deserve and need are generally in place. Is there room for improvement? Absolutely, but the American people and Congress will continue to strive to achieve the best solutions for our veterans. And where the Congress and the administration don’t act, civil society does. Dedicated nonprofit organizations have moved in to provide crucial services that the government either cannot, or should not, provide. Thankfully, after having served their nation in uniform, many veterans continue serving their nation in other ways. They bring a myriad of talents and perspectives to that service; most have traveled to other parts of the world, have had the advantage of seeing other governments, witnessed oppression, poverty, and authoritarianism, and have received intensive training in leadership and organizational skills. They know both discipline and self-sacrifice. One of the best examples of post-military continued service can be found in the life of Gen. George C. Marshall. Marshall retired from the Army in 1945, having served 43 years in uniform, his entire adult life. The last six years had been grueling and unrelenting as he guided the nation’s immense war efforts. He and his wife had earned a welcome rest. But President Harry Truman asked Marshall to continue to serve and sent him to China in an unsuccessful effort to negotiate a coalition government between the Nationalists and Communists. He was unsuccessful but spent two years trying. America wasn’t close to being done with Marshall. Truman asked Marshall to serve as secretary of state. In that capacity, Marshall received credit for Europe’s post-war rebuilding, for which he received the 1953 Nobel Peace Prize. After resigning as secretary of state, Marshall served as secretary of defense for a year at the start of the Korean War, and then chairman of the American Battle Monuments Commission and president of the American National Red Cross. His career remains one of the greatest examples of post-military service in our history. And research suggests that veterans today continue to follow Marshall’s path. Today’s veterans are among our most community-oriented citizens. Studies show that they volunteer an average of 160 hours annually, 25 percent more than nonveterans. Veterans belong to civic groups and attend neighborhood meetings, often assuming leadership roles. Furthermore, 48 percent of them vote in elections regularly, 16 percent more than nonveterans. Veterans are now more than four times as likely as nonveterans to work for the federal government and 10 percent more likely than nonveterans to work for state and local governments. Although preferential treatment for veterans is certainly a factor, many former military members see government employment as a means of continuing to serve the nation. And to support them, numerous nonprofit organizations help veterans to apply their energy to community and societal issues—The Mission Continues, Teach For America, Got Your Six, and others. So while America certainly has obligations to its veterans, it seems as though veterans—without anyone telling or ordering them to do so—have gravitated toward continued service to their country, or community. I’d like to mention in particular one type of community service that veterans are happy to provide to their country, and that’s the outreach and support to fellow veterans. Veterans have a special place in their heart for fellow vets and are also usually more effective in veteran support since they have walked in those boots. Nothing could be more important. Veterans Day is a special day where we pause to celebrate those who have served, and in many cases continue to serve, our great country. For me, I’ll be thinking about those who raised their right hands and took the oath of allegiance to “support and defend the Constitution of the United States,” with oftentimes little knowledge of what that entailed. Lt. Gen. Thomas W. Spoehr, U.S. Army (Ret. ), is a director for the Center for National Defense at The Heritage Foundation. Tags: Why, Celebrate Veterans Day, Thomas Spoehr, Lt. General, Heritage Foundation, The Daily Signal To share or post to your site, click on "Post Link". Please mention / link to the ARRA News Service. and "Like" Facebook Page - Thanks! by John C. Velisek, Contributing Author: America, this country of many different parts, and different blended cultures is in trouble. A good part of our citizens and insular, shut off from a country of which they have no thoughts of exceptionalism, and unique in history. Having an older, more mature outlook on my country, I have seen changes in our culture, our education, even in areas considered in my youth to be resistant to change. There are many in past generations that have no worth of a society that has stood the test of time since our founders. These are the areas where I have seen the most change. The religions of the world have always been a stalwart against the culture denigrating to the point it has. The United States was founded as a Christian nation, the laws, history, and heritage of this country has been based on laws derived from the major religions found in the people who immigrated here. Aided by common law from the ruling class in England has fortified those beliefs. I appears to me that all facets of society today (media, academics, etc.) have aligned themselves with one another to argue the historical foundations and premises that our community has been based on. Personal decency is considered a relic from the past, and responsibility is something some people will undertake only when there is no one else to blame. Since our founding, Christian values and ideals have formed this nation. 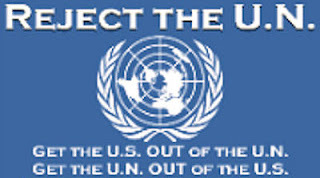 And although not perfect, has led to progress unknown in any nation before. It has given us unsurpassed Liberty and a society where anyone can succeed if willing to apply themselves. We have devolved into a culture where some people want to be victims, blaming others for the shortfalls and lack of progress in individual lives. There are no longer ideals on which to to focus , the foundation of individualism being a factor in ones life is considered passé. It does not take a village to raise a child, it takes a loving mother and father, and a set of rules that are understandable to a child, and followed by the parents as well. Based on a Judeo-Christian ethic for many generations, American culture was one of individual responsibility. Today, people, through coercion of government and media, have been separated into groups. More tribal than in the past, it leads to mistrust of all those around you, family, friends, and a deep animosity towards those you have never met, leading to working all day, sitting in front of the TV watching mind numbing shows, with the only thought being going to work the next day. This is not the way it was supposed to be. The country was to apply Christian principles to a community, to work together, and to have the basis of understanding one another. Multiculturalism has failed. This is an exceptional country, those saying differently notwithstanding. In all areas we have always been a leader of the world, compassionate, and working within the confines of our beliefs. We have led the world in comfort, and freedom for our citizens. For some reason, this has changed. We spend all our time now apologizing for our past, and working towards humanizing those that would do us harm. Is the country perfect. No, and it never will be. Our institutions, the cultural basis of our country have been battered by those who see no difference between our way of life and others. Assimilation is frowned upon, and it seems to be many elites are embarrassed by the wealth and power that our country has accumulated because of the beliefs that, until recently have been the basis for our progress. We have socialism on the media, in the universities, and it is gaining wide acceptance among some our people. Many now consider capitalism a long worn relic to be disposed of as soon as possible. Thinking that socialism will solve all our ills, not realizing that every time it has been tried, the citizens have suffered. You are locked into a way of life where the government decides everything, and you can do nothing, go nowhere, or have any thoughts of your own. In my twenty years in the military, I have had a close up look of socialism. I will definitely say socialism is not a system I would prefer to live under. For those that are pushing a soviet style socialism in our schools and media, I suggest you live there for two years, and experience what it is really like. This country was founded on the principles of a Christian community. There are those that feel they know better, and will do the best they can to dismantle the underlying principles that we all shared at one time. They will divide us with entitlements, and regulations that force these groups into conflict. That is the soviet template, to collapse our ideals, morals, individualism, and sense of community. The time to stop it is now, and we, the citizens, need to take back our country from those that wish to defeat it. John C. Velisek, retired Navy, is a California conservative activist writing articles for various publication and is a contributing author to the ARRA News Service. You can follow John's work on @sjspecialist on Twitter and One Patriots Opinion on Facebook. 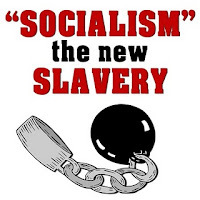 Tags: John C. Velisek, socialism, Progressive Socialism, Make America Great Again, To share or post to your site, click on "Post Link". Please mention / link to the ARRA News Service. and "Like" Facebook Page - Thanks! by Norm Beznoska Jr., Contributing Author : It Is You, America’s Veterans, whom we salute and honor this Veterans Day (and every day), for your patriotism, love of country, and willingness to serve and sacrifice for the common good. It Is You, who proudly wore and wear, the uniform of the United States Army, Navy, Marine Corps, Air Force and Coast Guard. It Is You who left the safety and comfort of your homes to defend our homeland. It Is You, America’s doughboys, who fought in the bloody trenches of Belleau Wood and Meuse Argonne, and flew the ‘wood-and-wire’ planes of the Lafayette Escadrille WWI in 1917. It Is You, Sailors and Marines and 1,100 hundred shipmates, who awoke that morning on December 7,1941, aboard the Battleship USS Arizona manning your battle stations, fighting the Japanese sneak attack on Pearl Harbor in WW II. And, you still man your battle stations today aboard the USS Arizona, beneath the waters of Pearl Harbor, Hawaii. It Is You, Coastguardsmen, who protected our coasts and naval convoys from U-boat attacks in WWII. It Is You, Army and Marine battling bas***ds of Bataan and Corregidor, who stopped the Japanese advance for three months, before being captured and tortured in the infamous ‘Bataan Death March’. It Is You, Navy and Army pilots, who sank the Japanese fleet in the Battle of Midway. It is You Soldiers and Marines, who stormed the beaches of Guadalcanal, Tarawa, Saipan, Iwo Jima and Okinawa. It Is You Navy gunners who shot down Kamikaze suicide plane attacks against the Pacific Fleet. It Is You Air Force pilots and crew, who bombed Japan into submission, ending WWII in the Pacific. It Is You, Soldiers, driving Patton’s tanks, beating back Rommel’s Panzers in North Africa, Italy and France. It is You, Air Force crews who flew bombing missions all over Europe in WWII. It Is You, soldiers and paratroopers, who hit the beaches of Africa, Italy; and Normandy, France; and fought the Battle of the Bulge to help end WWII in Europe. It is You, Soldiers and Marines, who fought to save South Korea from North Korean Communist invaders in 1950; and who landed at Inchon, to recapture South Korea. It Is You, the “Chosin Few”, who fought a million Chinese Communist invaders at the Chosin Reservoir, in North Korea. It Is You, Navy and Air Force pilots, who fought Communist MIG jet planes over Korea in 1952-53. It Is You, Soldiers of the First Air Cavalry, who repelled North Vietnamese troops in 1965 in the Ie Drang Valley, first major battle of the Vietnam War. It Is You Marines and Soldiers, who fought the Tet Offensive to recapture Hue, South Vietnam. It Is You, Air Force and Navy pilots who flew thousands of missions for eight years over North Vietnam. And It Is You, 573 American POWs, who spent years of torture in captivity at the “Hanoi Hilton” prison in North Vietnam until 1973. It is You, Soldiers and Marines, in 1983, who saved 1,000 US students on the Island of Grenada from Cuban communist troops. It is You, Soldiers, Marines, and Navy SEALS in the Persian Gulf War in 1991, who rescued Kuwait from Saddam Hussein and Iraq’s invasion. In 2001, It Is You, Soldiers, Marines, and Navy SEALS in Operation Enduring Freedom, who fought Osama Bin Laden and Al Qaeda Islamic terrorists in Afghanistan. It Is You, Soldiers, Marines, Air Force and Navy pilots and SEALS in Operation Iraqi Freedom who deposed Iraq’s dictator, Saddam Hussein in 2003. And, It Is You, Navy SEAL Team 6, who on May 2, 2011, killed Osama Bin Laden, the Islamic terrorist leader and 911 murderer. It Is You, Veterans, America’s finest, who still stand guard 24x7, fighting to protect us from terrorist enemies the world over. And, It Is WE AMERICAN VETERANS, who would gladly serve our country once again; never bowing to a foreign prince and never apologizing for America. And never, ever, leaving four American hostages (Iraq War Veteran Marine Sgt.Amir Hekmati; Christian Pastor Saeed Abedini; Washington Post Journalist Jason Rezaian; and ex-FBI agent Robert Levinson) behind by a feckless president, to be tortured for years in Iran. HAPPY VETERANS DAY and GOD BLESS YOU ALL, MY BROTHERS and SISTERS WHO SERVED! Norm Beznoska Jr., aka Navyman Norm, is a US Navy Veteran and contributing author to the ARRA News Service. Tags: American Veterans, It is you, Veterans Day, 2016, Norm Beznoska To share or post to your site, click on "Post Link". Please mention / link to the ARRA News Service. and "Like" Facebook Page - Thanks! Angry White Liberals . . .
Liberal democrat millennial protesters seem to have a problem with democracy when election don’t turn out their way and Donald Trump is elected President of the United States. 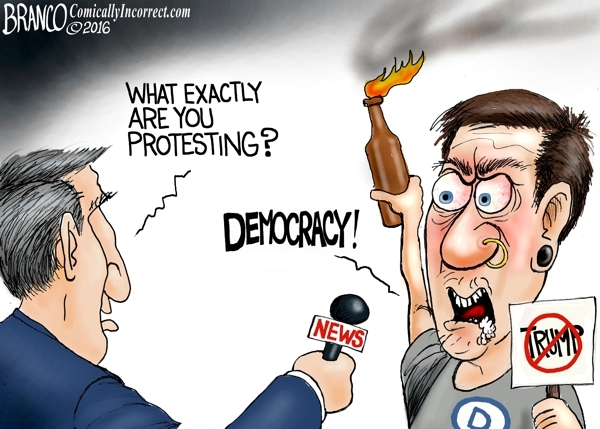 Tags: editorial cartoon, AF Branco, Angry White Liberals, democrats, millennial protesters, problem with democracy, election, Donald Trump To share or post to your site, click on "Post Link". Please mention / link to the ARRA News Service. and "Like" Facebook Page - Thanks! Will Companies Like Dell Help Make America Great Again? "Let's make America great again. "Donald Trump was elected because voters don't feel the pride and confidence in our nation that we once did. Our economy is stagnant at best, our middle class is dwindling, and real wages haven't improved in decades. Our political leaders in recent years seem to care more about the well-being of people in other nations than our own. We know we can do better, because we've done it before. But we can't expect the President to wave a magic wand and restore our greatness on his own. A couple of months ago my computer assumed room temperature - dead as a doornail, without so much as a blink or a beep. I am highly dependent on my computer, so I immediately got on Dell's website, found the system I wanted on sale, and clicked on "add to cart". The order errored out, igniting an ordeal that consumed the rest of the day on Dell chat screens and phones with a series of Indian customer service people who kept saying "It" won't let them do this or that. Finally, an Indian supervisor got my order placed and confirmed by email, to be shipped in seven to ten days. I will spare you the sordid intermediate details, but after six weeks I got a phone call from another Indian Dell representative who spoke with such a heavy accent that I could barely understand him. He told me "It" says my order had been cancelled and I will have to reorder. "It" can't tell him what happened. "It" doesn't know when or whether a new order would be filled. No apology. No alternative. Just start over and hope for better results than last time. I gave up and ordered a Lenovo with the same specifications. My computer arrived in two days in perfect order and cost about a hundred bucks less. Because I had tried to buy a Dell computer, I have been receiving a dozen targeted Dell ads every day. Today I commented on a Facebook ad that readers should avoid buying a Dell computer for Christmas, citing the horrible experience I had been through. My post received an immediate response from an Indian Dell employee who wrote in broken English that Dell is so sorry, but they just can't keep up with the crushing demand for their wonderful products. A flurry of back and forth posts followed. Dell didn't give a rip about me when I was trying to get my order, but they sure were concerned about me when I posted my bad experience on social media. 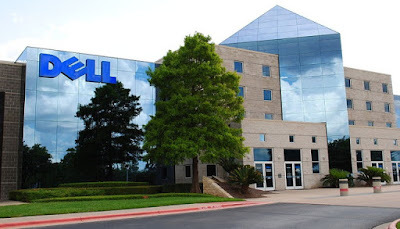 There was a time when Dell was a proud, strong American innovator, manufacturer, employer, and retailer. Now it is an international company, manufacturing and selling its products all over the world. But most of its computers are still bought by American companies and consumers. I'm not so naïve as to think that we can or should suppress global trade. I just hate to see what has happened to our American companies. 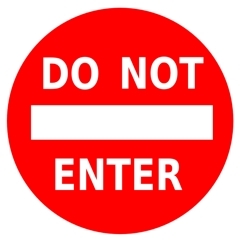 American consumers are too often reduced to dealing with poorly-trained and inarticulate foreign employees who either work in offshore call-centers or were imported to the USA with H1B visas, whose authority is restricted to what "It" displays on their screens. Meanwhile our own American-born skilled customer service people work two part-time convenience store jobs for $8 an hour. Dell may be bigger than it was, but it is not better. It's not a better corporate citizen, and it's not a better sales organization. Dell was once a smart and proud group of high-achieving Americans. Now Dell is an "It". Not all American companies have sunk to this level of cold, multi-national mediocrity. In addition to Lenovo, I have received over-the-top customer service recently from the Carolina Panthers, Chamberlain Garage Door group, State Farm Insurance, and many others. But it seems for every Chick Filet there is a Wells Fargo. Our president-elect promises to protect domestic jobs by welcoming American companies back to our shores with lower corporate tax rates and free repatriation of profits from foreign operations. And he wants to take a fresh look at trade policies that have pushed investment and employment out of our country. If we are going to "Make America Great Again" we can't expect our president to do it alone. We citizens will have to step up our games. And our American companies need to get on board. Tags: Tom Balek, Rockin' On The Right Side, Will Companies, Dell, Make America Great Again To share or post to your site, click on "Post Link". Please mention / link to the ARRA News Service. and "Like" Facebook Page - Thanks! 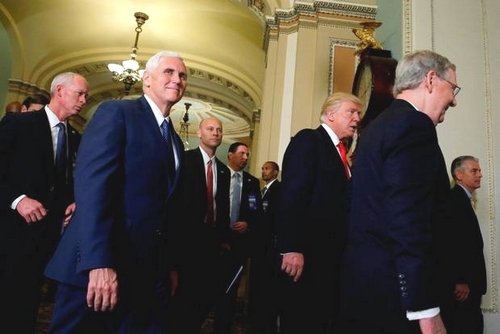 by Gary Bauer, Contributing Author: Trump/Pence Come To Washington - President-elect Donald Trump is in Washington today. He met with President Obama at the White House this morning to discuss an orderly transition of power. As some in the media have noted, this meeting will undoubtedly be "one of the most humbling moments of Obama's presidency." This afternoon, President-elect Trump and Vice President-elect Pence met with Speaker Paul Ryan and Senate Majority Leader Mitch McConnell. Yesterday, Ryan issued a very gracious statement, promising to work hand-in-hand next year with President Trump. Ryan noted that Trump "turned politics on its head" and he credited Trump for providing "a lot of coattails" that pulled several GOP candidates "over the finish line." Trump's strong performance in key states limited GOP losses and enabled the party to maintain control of Congress, which will be especially important when it comes to confirming President Trump's Supreme Court nominee next year. The GOP is in its strongest position in Washington, D.C., since the 1920s. About That Performance - Donald Trump won a historic victory Tuesday. It appears he will win the Electoral College vote 306 to 232. He did it by carrying states that haven't voted Republican in decades. Iowa -- While George W. Bush carried Iowa in 2004, the state had voted Democrat in six of the previous seven elections. Michigan had not voted for a Republican presidential candidate since 1988. Pennsylvania had not voted Republican since 1988. Wisconsin had not voted Republican since Ronald Reagan's 1984 landslide. The emerging consensus is that Hillary Clinton failed to energize the Obama coalition and underperformed with younger and minority voters. That is true to a point. But in Florida, Clinton actually outperformed Obama. According to one analysis, Clinton won about 250,000 more votes than Obama won in 2012. Thankfully, Trump won 120,000 more votes than Clinton. And he outperformed Mitt Romney by more than 440,000 votes in the Sunshine State! Lots Of Egg - There is not enough space to go through all the people who have egg on their faces following Tuesday's historic election. But let's try to name a few of the worst offenders. The Media. The left-wing media plumbed new depths of outrageous bias this year. In many cases, so-called journalists publicly justified their blatant contempt for Donald Trump and his supporters. If they had any integrity, which they obviously do not, they would all resign immediately. The Pollsters & Prognosticators -- All of the polls were wrong. As were professional political scientists like the University of Virginia's Larry Sabato. Three days ago, Professor Sabato's pre-election "Crystal Ball" predicted a Clinton landslide in the Electoral College of 322 to 216. It seems his crystal ball blew a fuse. Yesterday, Sabato apologized, saying, "This is bigger than 'Dewey defeats Truman.'" The Pundits -- Two weeks before the election, Karl Rove said Trump needed "an inside straight," adding, "I don't see it happening." On Election Day, Republican consultant Anna Navarro said on CNN, "I can assure you that Donald Trump will get historic low numbers among Latinos. It's going to be probably in the teens, if he breaks 20%. . . It will be sweet, sweet justice. . . if tonight it was the Latino vote that defeated Donald Trump." According to the exit polls, Trump won 29% of the Hispanic vote, more than Mitt Romney. GOP Elites -- Just after 4:00 PM on Election Day, Senator Lindsey Graham tweeted that he wanted Egg McMuffin. Whoops. No, that would have been preferable. Instead, Graham tweeted, "I voted @Evan_McMullin for President." A spokesman for George W. and Laura Bush said that they did not vote for Trump or Clinton or anyone else for president. And let's not forget the 2012 GOP Autopsy, which contained several recommendations for how the party needed to moderate in order to win. Wrong. Finally, some of the most prominent conservative journals were quick to embrace the #NeverTrump mantra probably because so many of their writers live, work and socialize inside the D.C. Beltway. They spent months telling us that you can't buck demographic trends. But what I don't get is why so many on our side are embracing policies -- such as left-wing immigration policies -- that exacerbate those trends. Perhaps the most disappointing person in this category is George Will. He quit the Republican Party this summer after Trump won the nomination. A week before the election, Will said on ABC that he hoped for a Clinton landslide so the GOP could free itself from the influence of conservative talk radio. I don't understand how Will thinks it would help the party to abandon one of its biggest allies, much less lose the Supreme Court for a generation. Left-wing Fringe Freaks Out - The radical left-wing fringe is freaking out, refusing to accept the results of the election. #NotMyPresident is trending on Twitter. Tolerant leftists are burning flags and even rioting. You can tell we won because suddenly there is a chorus of the media and Washington insiders lecturing us about how important it is for us to reach out to our defeated foes. I just did a TV interview with the BBC. The first question was, "What would you say to the outraged people demonstrating in dozens of U.S. cities against Donald Trump? What do you want to tell them this morning?" I responded, "I would tell them 'You lost.'" I wasn't being flippant. Talk about unity and burying the hatchet never happens when the left wins a sweeping victory. In fact, Obama's message to congressional Republicans was "I won." When Obama briefly had all branches of government, he rammed Obamacare down our throats. Nobody was telling him it was ill-advised. No one was saying he had an obligation to reach out to people in Middle America, which he described as "bitter" and "clinging to their guns and Bibles." Thankfully, this country believes in the peaceful transfer of power. But on almost every fundamental issue facing the nation today, there are deep divisions between the left and the right. I understand the need to sound magnanimous in victory. But we should not hesitate to use the advantage we have to preserve religious liberty, extend the protections of the Constitution to unborn children, revamp our military and stop the left's radical social engineering. The reaching out we should do is to convince those Hillary voters who may be persuadable that they will be better off joining us and our agenda. It is not our responsibility to water down our agenda so that spoiled college kids and radical fringe activists don't feel "triggered." Tags: Gary Bauer, Campaign for Working Families, Trump, Pence, In D.C., About That Performance, Lots Of Egg, Fringe Freak Out To share or post to your site, click on "Post Link". Please mention / link to the ARRA News Service. and "Like" Facebook Page - Thanks! by Seton Motley, Contributing Author: Google’s parent company, Alphabet, has a current market cap value of $544 billion. The entire Gross Domestic Product (GDP) of Taiwan is $524 billion. So Google is bigger than…Taiwan. So why is the United States federal government giving monster Google so many unequal-before-the-law policy preferences – via executive branch fiat? And why are governments throughout the United States giving Google so much money? A main area for which Google gets government coin – is when Google is pretending to be an Internet Service Provider (ISP). Behold the non-free market “free market” Google Fiber. Google Fiber Brought to You by Higher Taxes? And despite all the government money – Google oft isn’t a very good corporate citizen. In all manner of ways. Google’s ongoing, incessant claim – is that Google Fiber will connect the unconnected. That the poor would finally be logged on and logged in. It seems to be all these governments’ primary justification for giving so much coin to the Behemoth. So Google Fiber will close the Digital Divide, right? Not so much. In fact, Google is making things worse. Get that? Google gets millions of dollars from governments – for a Fiber plan that intentionally skips out on poor neighborhoods. To save a buck. Exacerbating the digital divide. By taking government money intended to bridge it – and then not bridging it. In case it hasn’t occurred to Google (and believe me, it has) – this is exactly why there is a digital divide. Because it costs more to connect neighborhoods who can’t afford the service you’re building out. Companies like Verizon – who build out to them – certainly know this. Google bragging that it saved coin by skipping the poorest – ain’t exactly optimal. Google skipping the poorest – after taking millions in government coin intended to connect the poorest – ain’t anything but obnoxious. Tags: Seton Motley, Less Government, Google, Fiber, Cashing Government Checks, Bypassing, Poor Neighborhoods To share or post to your site, click on "Post Link". Please mention / link to the ARRA News Service. and "Like" Facebook Page - Thanks!